The event organiser, the Clyde Cruising Club, is delighted with the longevity of this event and appreciates all who have supported it over the last 42 years. This is a remarkable achievement and shows there is something special about the Scottish Series that draws competitors back year after year. The event began through the enthusiasm of sailors, in 1975, wanting to race their boats, combining challenge with enjoyment. Passage racing combined with Olympic triangles created variation and something for everyone. This is still the vision today. 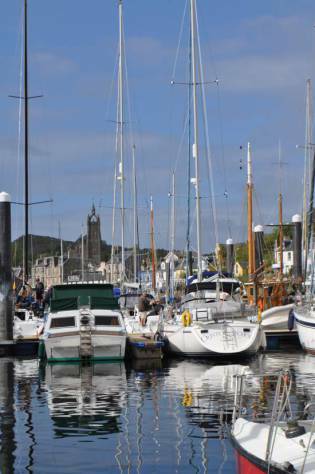 The village of Tarbert has welcomed the event since 1977, offering a sheltered anchorage and plenty of bars to exchange tales after a day on the water! Onshore entertainments and good craic, influenced by the Irish contingent, has become as much a part of the event as the sailing. 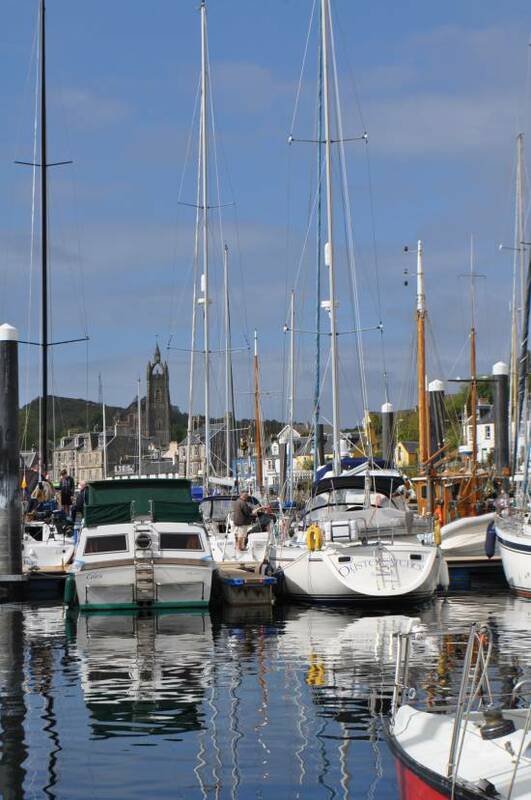 The sailing programme on Loch Fyne offers great variety and includes windward/leeward courses and passage races. The social programme is based in the marquee, on the north side of the harbour, and will include big bands on the Saturday and Sunday evenings, there will be a bar, and food will be available during the day. The event will conclude with the final prizegiving in Tarbert on Monday 27th May. Sailors return year after year to this prestigious yachting event to enjoy the mix of challenging sailing with the familiarity of the venue. For the efforts of a small village and a team of Clyde Cruising Club volunteers, there are special memories associated with Scottish Series. If you have been before remember great times and come back for more. If you are new to the event come and discover it for yourself. For non-sailors come and simply enjoy the atmosphere and the party. Look for more information about the event on Scottish Series or facebook and twitter: Scottish Series.